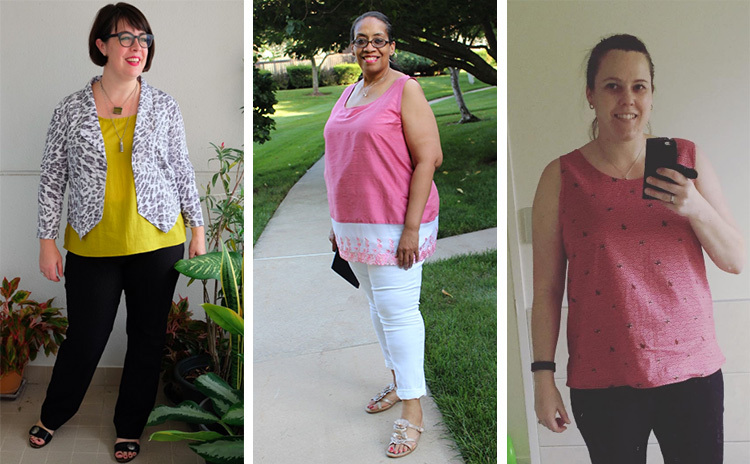 If there’s one thing that brings a smile to my face, it’s seeing women around the world wearing their Cashmerette Patterns garments – and it’s been doubly fun seeing all your creative and beautiful makes for the holidays! 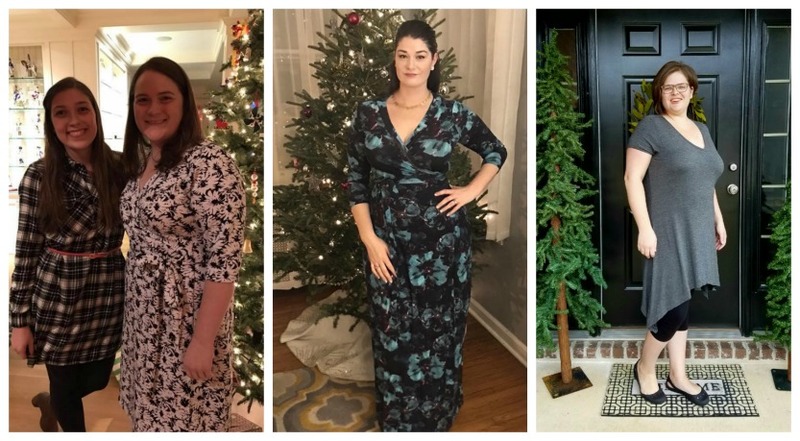 Let’s kick it off with three gorgeous Upton dresses: Tanya in lovely sateen, Pearl used a border print to absolutely wonderful effect, and Sumiko used metallic Cotton+Steel cotton to make a fabulous maxi version. Next up, the Turner Dresses. Andie whipped hers up in an hour (!!!!) for Xmas lunch, adapting it by using a scoop neckline and neckband (want to alter your Turner neckline? Here’s a tutorial). 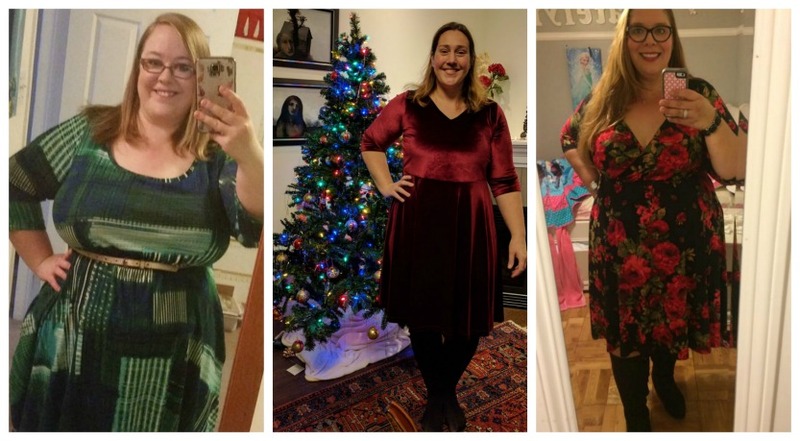 Laura used a stretch burgundy velvet to make a super festive dress, and Kenna hacked hers to make a cross-over bodice. 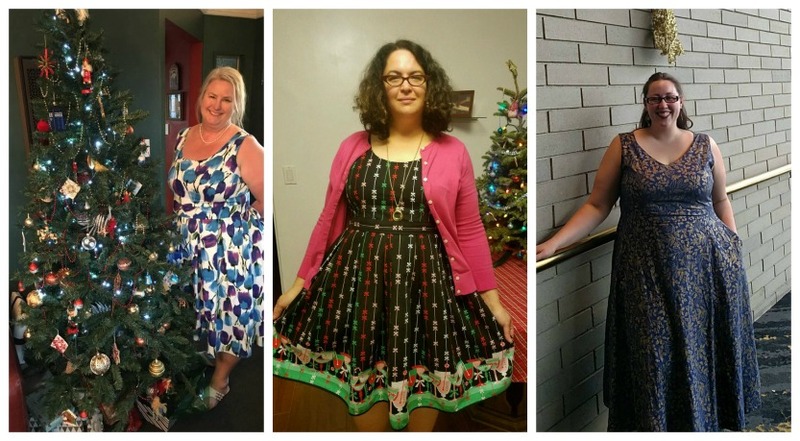 Hannah made not one, not two, but three Cashmerette dresses for the holidays! Here’s her burgundy Turner Dress. 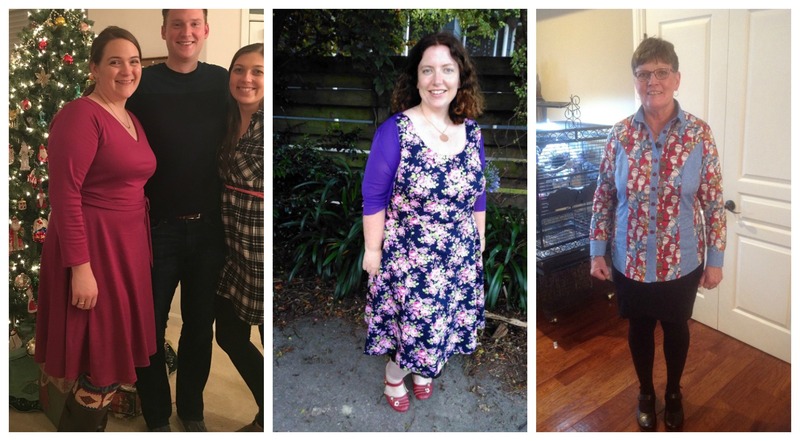 Laura made a beautiful purple Upton dress, which goes fantastically with her cardi. And Margo made this novelty Christmas Harrison Shirt to entertain her grandkids – and reports back that it did! Here’s another one of Hannah’s lovely makes – it’s an Appleton Dress, and it’s actually her first ever hand-made dress, if you can believe it! Mary Alice wore her maxified Appleton and is looking gorgeous as always. And Katie made a really creative Concord T-shirt hack for a totally different look – so clever! And finally, I wore Cashmerette too. 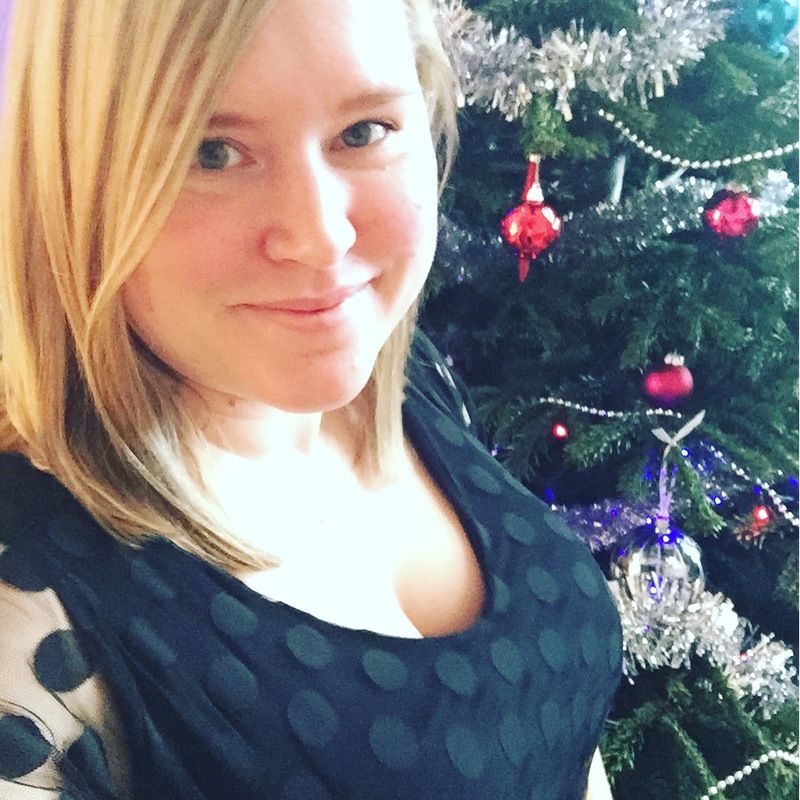 My black polka dot Turner Dress, which is probably my favourite thing I made all year. We still also have a handful of kits left, if you’re interested in making your own. Happy holidays from Cashmerette Towers! Did you wear Cashmerette for the holidays? I’d love to see what you made. Let’s have an Upton Dress Party! Lots of inspiration here! It’s always fun to see all the different things people are doing with the same pattern especially all at once 🙂 Happy Holidays to everyone at Cashmerette and all the best for 2017. I look forward to seeing what comes next! This is so inspiring. Any chance to link to Katie’s great Concord hack? I did wear Cashmerette for the holidays, but not in the way I had planned. I got the flu on Boxing Day and spent way too much time in my Concord hack nightie! We do casual Christmas everything so I have been living in my hacked Concord sweater for weeks. Love it! Does Kenna blog? Her shape is so similar to mine, I’d love to snoop on other things she’s made! 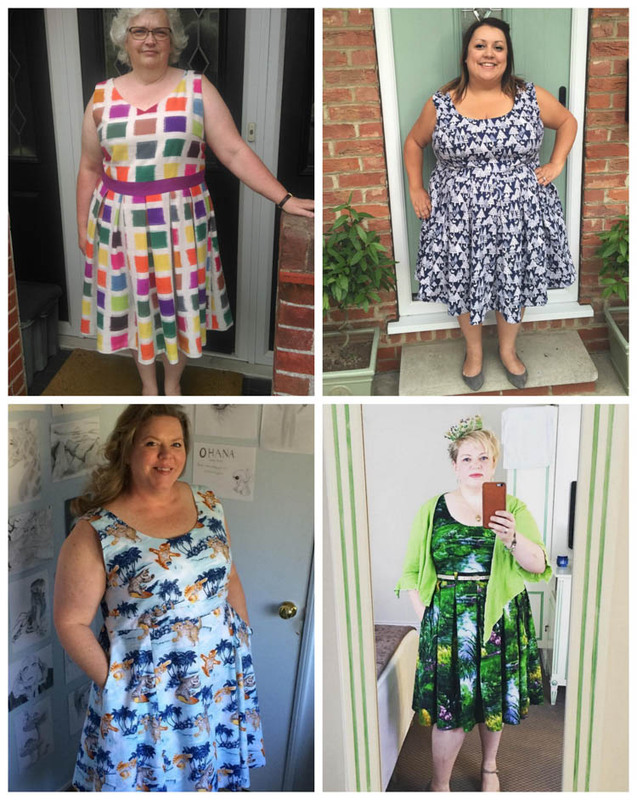 I don’t think so unfortunately but she’s a member of the Curvy Sewing Collective Community Facebook page where she often posts!